High Faux Bun? Marley? Crochet Hair? I know, I know. Let’s take a step back. So this weekend I had a birthday dinner and party to attend and I wanted to try something different with my hair. However, I knew I wasn’t going to have time to visit a salon so it was going to have to be a style that I could create on my own. I had decided on the outfit which was a black dress and a faux fur vest with some boots which I felt the look was glamorous/high fashion and I wanted to rock a hair style to match the overall look. 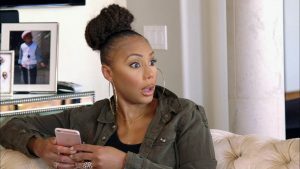 I had decided that a high bun would fit the look perfectly that I had once seen on Tamar Braxton on her show Tamar and Vince last season would fit the look I was trying to achieve but I had no idea how to get to that step. Tamar Braxton from the reality show ‘Tamar and Vince’ on WE TV wearing a high faux bun. My natural hair is shoulder length in which I can get into a high bun but I knew that I wanted something a little more dramatic which would require some assistance with extensions or something. However, I knew I didn’t want extensions and wanted something a little more easy breezy to do myself. 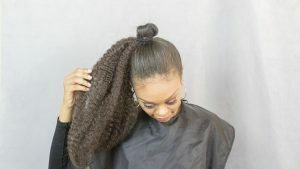 So I did some research and found out that I could achieve this look by using what is called crochet braiding hair. You are wondering if I am referring to the same crochet braids that us 80’s babies use to wear as little girls or teenagers in the 90’s? Yep! Or you may be familiar with the crochet braiding hair if you have worn poetic justice braids or wore Bob Marley twists in the last 5- 7 years. I was quite shocked to learn that this hair could be used to achieve my high faux bun. You can either achieve a high bun on freshly washed hair hair or on blow dried natural hair. 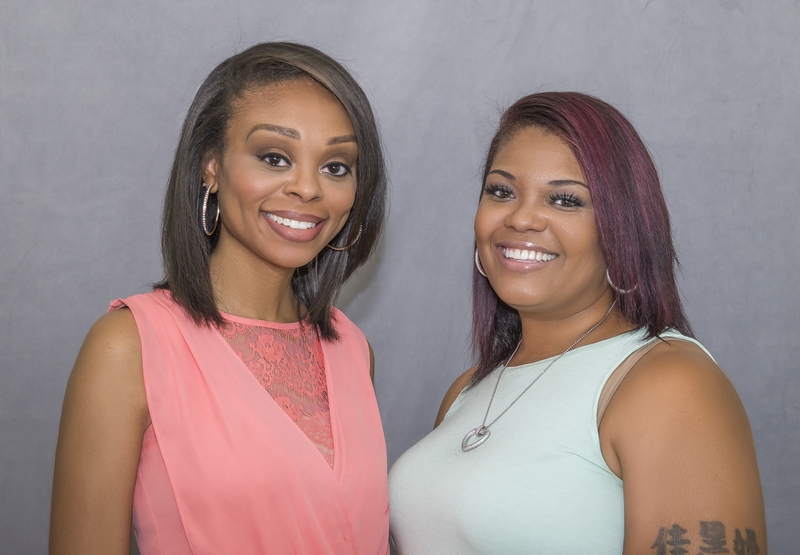 You will want to prep your own hair for this style by gently detangling it so that is is smooth and appears to be tight. 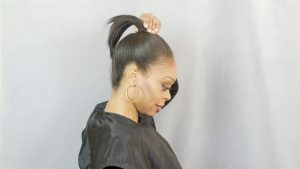 However, please do not stress your hair by making this style too tight on your natural tresses. As this style can serve as a protective style this would be the perfect opportunity to add healthy products to your hair. Add a protective serum and oil on the hair and continue to brush the hair up in the direction of desired bun. Neatly place hair into a mini bun. You can either place a scarf at this point or at the end of these steps to help lay down the hair for about ten minutes. 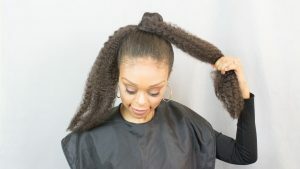 Your next step would be to grab the marley hair that you purchased and take a elastic hair tie to wrap around it to create a hook that you will use to put your ponytail up. 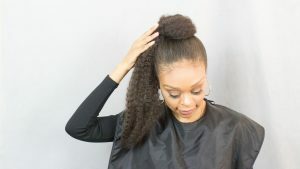 Attach the marley hair onto your own mini bun and wrap one half of the marley hair around the bun. Then you will secure the ends of the marley hair down with a bobby pins. 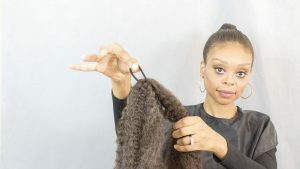 In the opposite direction you will take the remaining half of the marley hair and wrap it around your mini bun and the marley hair that is already secured. Secure those ends with bobby pins to put the bun in place. 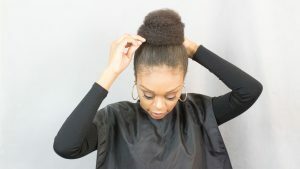 You want to make sure that all of your natural hair in your mini bun is covered. So keep shaping it in the desired style that you are seeking. 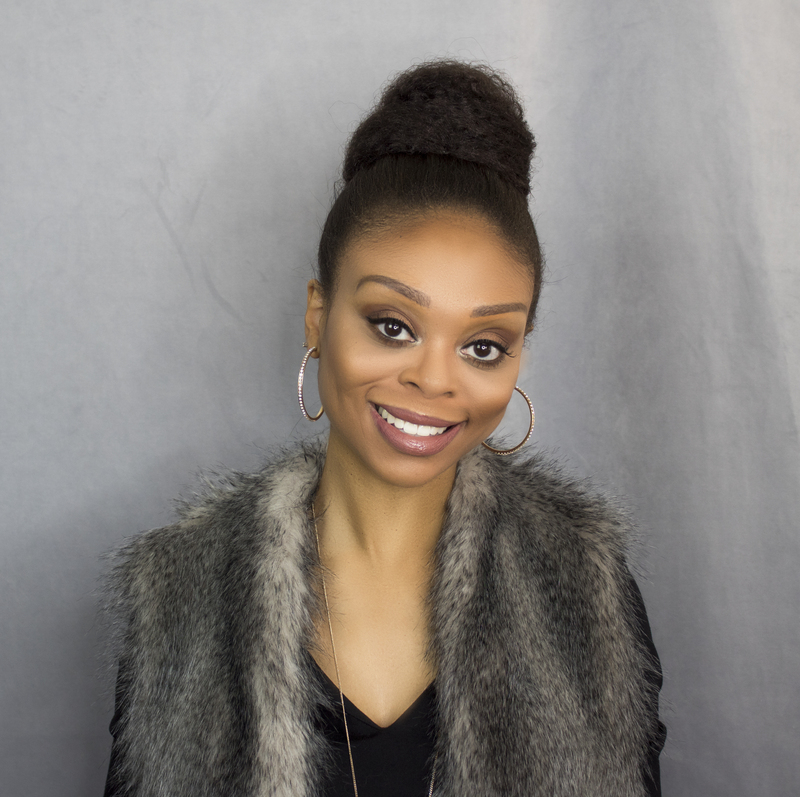 At this point you can remove the scarf and add any desired edge control to your baby hairs or add an shine sprays that will help your hair match the lustre of the marley hair. I love this style as the total duration to achieve this look takes approximately 5- 6 mins and boom…you are ready for a night out on the town. This is dope. Ima have to try this on my munchkins hair. It’s super cute. You’re the best! Wow, this was so easy to achieve and it looks great! I have so many hairstyles that I want to try in the future and I may just have to add this to the list! Thanks for the tutorial! This is so cute! I’m was thinking about getting braids but this may be a better move until I headband out for my trip!